Dave Pickering, chief executive of the Lending Standards Board, blogs on the LSB’s new joint report with the Money Advice Trust on vulnerability in the business customer context. 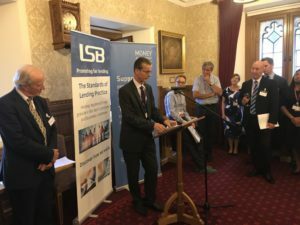 The Lending Standards Board (LSB) and Money Advice Trust, through its Business Debtline, set out last autumn to collaborate, by pooling their effort and experience, to offer insight into the impact of vulnerability on small businesses. I am excited by the report our efforts have produced and I believe we have a blueprint for future research projects, in that the mission to improve levels of customer protection through the development of good practice can be better achieved by harnessing the skills of people from complementary organisations, offering a different perspective on the same topic. What did we find from the research? We are encouraged by the fact that our research shows that most firms have an overarching vulnerability strategy in place, but this is tempered by the fact that most policies, processes and training are in respect of personal customers. When it comes to small business customers, we feel that firms still have some way to go in developing a practical framework to support the timely identification and assistance of business customers in vulnerable situations. The report also makes some interesting observations around financial difficulties. Firstly, when a business gets into financial difficulty, there is often a direct link between a business’ financial situation and the person running the business experiencing some form of vulnerable circumstance, such as a mental health problem or physical ill health. Secondly, the report looks at when a person is in a vulnerable situation and the impact that this then has on the performance of the business. The report goes on to make other observations, findings and recommendations in respect of the identification of vulnerability, the level of ongoing support provided to small businesses once vulnerability is identified, the distinction between, and challenges presented by, online and telephone relationships compared to a relationship management model, and staff training. It’s essential that we maintain momentum. There are steps that firms, the industry and the LSB can take to ensure that the findings from this research are built upon. We want all firms to undertake a gap analysis to assess potential improvements to their processes in the five key areas of policy, identification, support and management, training and monitoring. We want the industry to support lenders and funders, to help them implement further improvements. The LSB has committed to a series of actions to ensure that we retain focus on this area.  We will be working with our firms and running a series of events to develop thinking further, and I know the Money Advice Trust will be incorporating the findings into its work with firms on vulnerability more broadly too. With the collective goodwill of all involved we firmly believe we can make a positive difference to the treatment of key individuals in small businesses, who are impacted by vulnerability. Read the news release and download the report here.